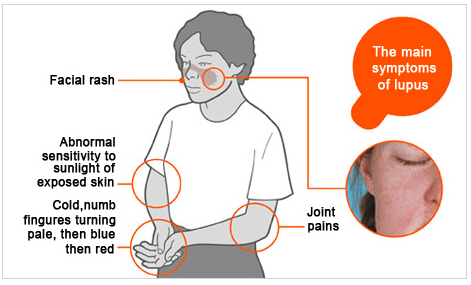 ”Lupus usually affects skin and joints, but it may involve organs such as the heart and kidney. If this happens then the effects can be severe”. Have you ever had painful/swollen joints for >3 months? Do your fingers/toes become pale, numb or uncomfortable in the cold? Have you ever had any sores in your mouth for >2 weeks? Have you ever been told that you have a low blood count – anemia, low white cell count or a low platelet count? Have you ever had a redness or color change on your face in the shape of a butterfly? Have you ever had an unexplained fever for more than a few days? Have you ever had sensitivity to the sun where your skin “breaks out” after being in the sun? Have you ever had chest pain with breathing for more than a few days (pleurisy)? Have you ever been told you have protein in your urine? Have you experienced extreme fatigue/exhaustion for days or even weeks at a time even after 6–8 hours of restful sleep? Have you ever had unexplained seizure/convulsion? 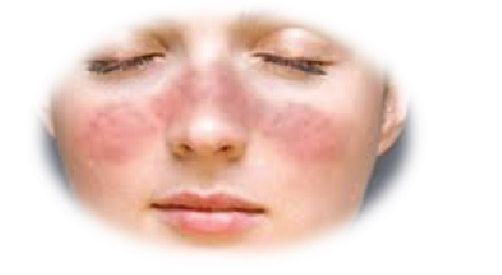 This could be lupus….. Please consult a Rheumatologist if you have these symptoms.